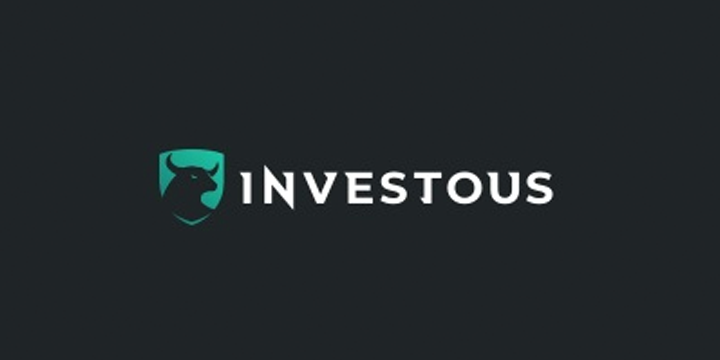 Investous is a fairly new CFD broker, owned by F1 Markets Limited, that has recently launched its’ books, making its’ innovative range of trading tools available for public use. This review contains everything you need to know before trading with Investous. Investous is a Cyprus based company that already has thousands of daily users. In the short time the company has been around, the broker has won several awards; including two from the Forex Awards, Best Trading Platform 2018 and Best Execution Broker 2018. Investous offers a variety of MT4 and Web Trader platforms to trade on; all offering unique and high-tech features. The brokerage offers Forex, Indices, Stocks, and Commodities. Investous provide a variety of different payment methods to choose from. These include credit cards, Skrill and Wire transfers. Credit card payments are usually processed instantly, however, wire transfers usually take 2 -3 days. For withdrawals, it can take up to 5 working days to be fully processed. Minimum and maximum deposit rules are slightly different depending on what payment method is used. Be sure to check out Investous’ deposit rules. Currencies that are currently supported by the platform nclude: USD, EUR, GBP, and RUB. Investous is fully regulated by SySE. This guarantees that the brokerage will have to continuously meet a minimum standard of both capital support and client protections. The company by law also has to disclose its best practices to their clients. This reassures users that Investous will act upon the clients best interests. In addition to the above, the Investous platforms are guarded with Secure Socket Layer (SSL) protocols. This helps to prevent attacks such as Direct Denial of Service (DDoS) attack. There are high spreads (at least a pip higher than would be expected for a basic trading account), however, there is no commission. Investous offers a range of different ways for clients and prospective clients to contact them. There are an education centre and FAQ section on the website for general help, in addition to a live chat function where anyone can get an instant response or a contact form for a ticket based help system. If preferred they can also be contacted via email at [email protected]. There is also a Cyprus office number listed on the website. MetaTrader 4 is available for download on the Investous website. The download is simple and available on a range of devices, including Android and iOS. MetaTrader 4 includes a variety of advanced trading tools and features popular amongst traders. This feature can be downloaded in the CFD section of the website and enables a smooth mobile trading experience. The free demo account offered by Investous is easy to create, requiring only a full name, email address, and phone number. The demo account gives the same experience as the live traders when it comes to prices and functionality. Users get a virtual $100,000 put into their demo account which is a great feature for new traders to practice some risk free trades before the real thing. Investous have a choice of Basic, Gold, Platinum or Premium accounts, offering something for everybody. Users can choose the account that best suits their experience and requirements. Investous provides a large variety of educational resources for traders. The education center features an FAQ, glossary, technical and fundamental analysis, leverage and margin, an economic calendar and VOD. There is also a CFD section on the website that’s perfect for new traders. The section contains explanations of CFD Trading, Stocks, Commodities, Forex, and Indices; as well as covering trading strategies. There’s also a daily video on the website. This is the ideal feature for traders on the go. The app can be downloaded at the Google Play Store or the Apple iTunes store, where they both already have good reviews despite the short length of time they’ve been on the app market. The app allows access to the majority of the web traders features meaning users can monitor their positions anytime and anywhere without needing to access the desktop version. You can sign up to Investous in a few simple steps. Firstly the contact form below has to be completed. It only requires a full name, email address, and phone number, there is also a box to tick that confirms you are 18. At the top of the sign-up form, there is a choice to open either a demo or real account. Once the form is submitted, users are redirected to a page that requires users to answer a few questions that help determine users trading knowledge and suitability for an Investous account. You do not have to answer any questions to open a demo account. Once you have clicked the start button, you will receive a phone call from Investous in order to answer eligibility questions and confirm you are at least 18 years old. If the call is missed investous will send an email to arrange an appropriate time for the call. Despite Investous being a relatively new broker, the company already boast a large range of high-tech tools on its MT4 and WebTrader platforms. Fees are quite high for withdrawals, as well as their, being high spreads, but on the other hand, all fees are visible to customers and there is no commission. There are only two types of orders available with no guaranteed stop order option, this could put off some traders. However, it could be said that they make up for this with the wide selection of trading tools and state-of-the-art platforms that Investous provide. There being a choice of four different accounts is also a bonus. Customer service is satisfactory, with a few different contact methods that are easily accessible on the website. This along with being regulated by the CySEC adds an element of trust. The website has a good amount of educational resources that would be useful to both beginner and experienced traders. With some of the brokers’ peers lacking in this department, Investous could be a good choice for traders that would like to learn more before beginning to trade, and the demo account is also a big bonus for new traders. Features such as the economic calendar and daily video are also useful. Taking all of the above into consideration, still in its youth investous is showing itself to be a competent and reliable broker. The fees are quite high but the platforms have a lot to offer, and clients best interests are made a top priority.